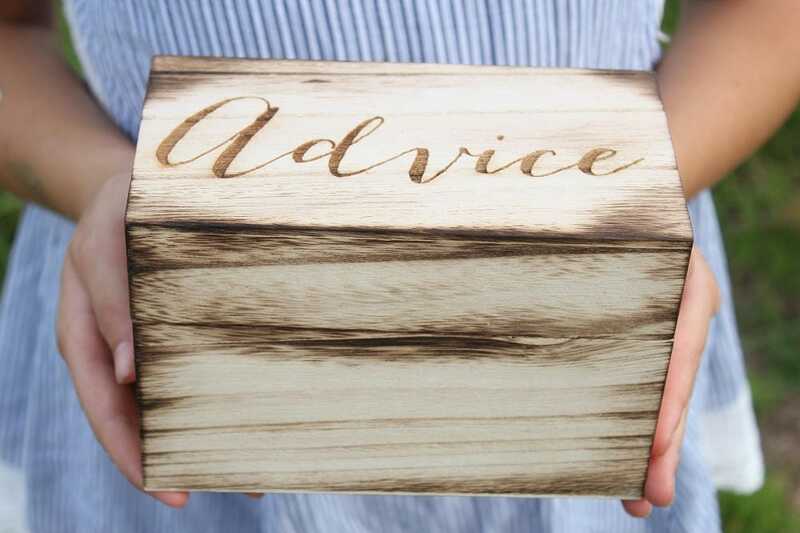 Engraved Rustic Advice Box w/Dividers. 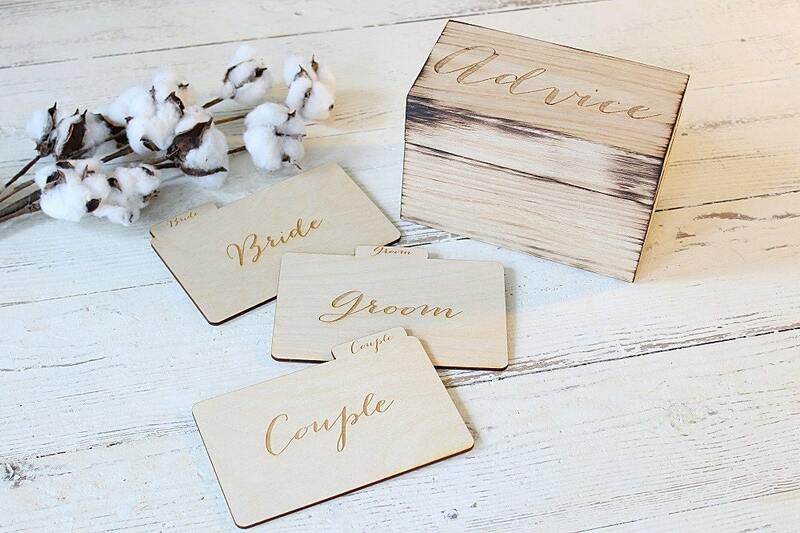 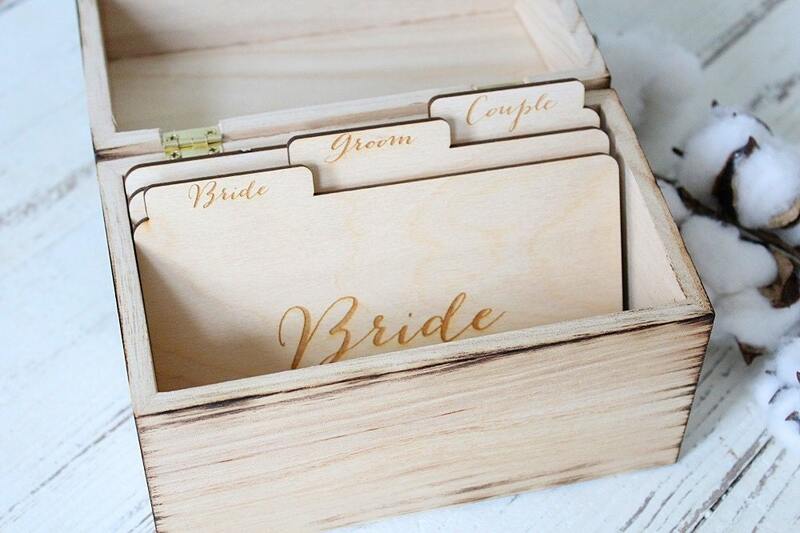 This is a complete Advice box with dividers to leave advice for the Bride, Groom and Couple. 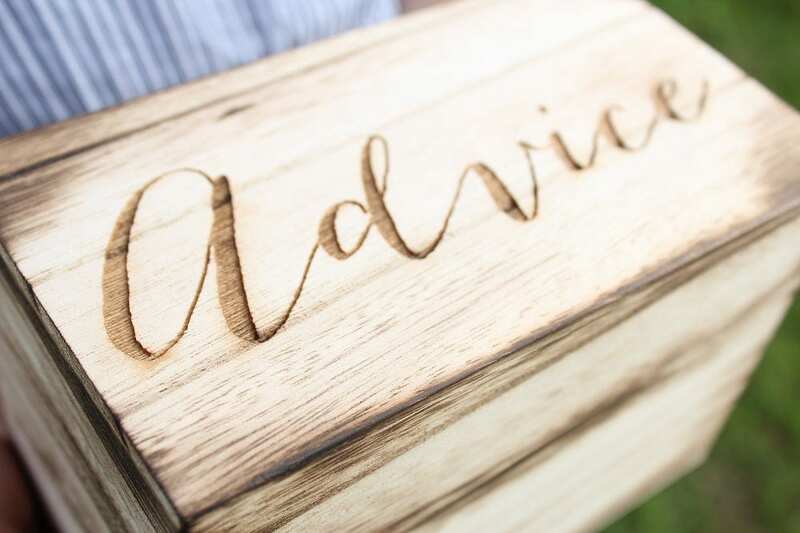 ♥ 'Advice' engraved on the lid w/torched edges. 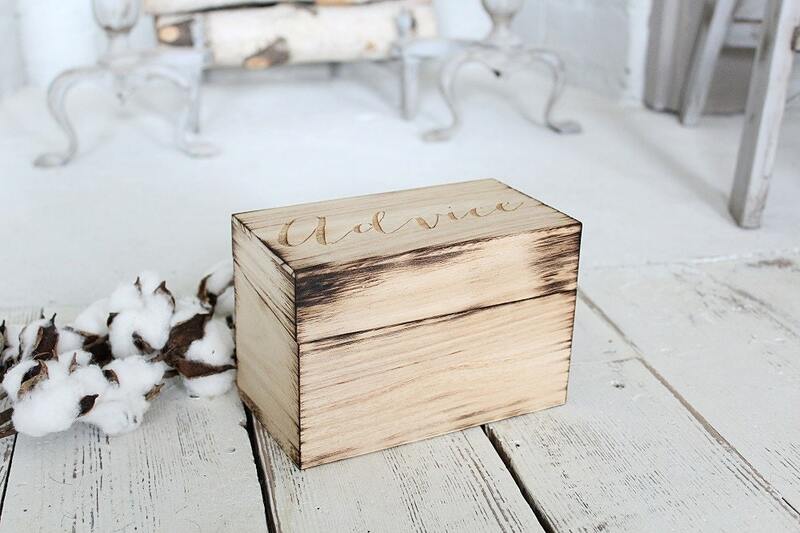 We apply a clear coat of shellac to the box before it leaves our warehouse..